Poster for the 76th Hahnenkamm Races. 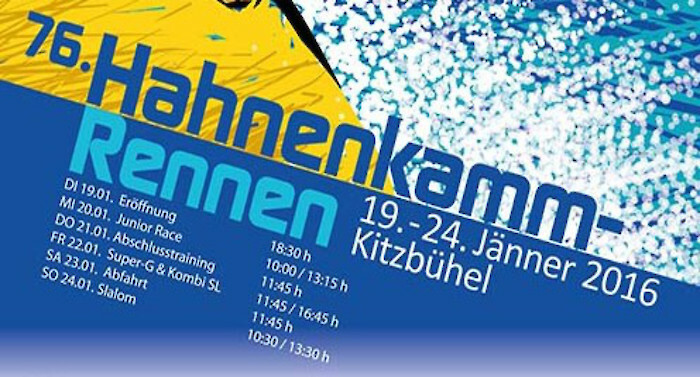 Artists have created the poster for the Hahnenkamm Races since 1990 and a competition is held annually for its design. The posters have become a highly collectable and sought-after item. In addition to the many fans keen to acquire a copy, diverse museums collect and archive copies of the poster. The new design – created by artist Hans Kalian – for the 76th Hahnenkamm Races is now available. Sales proceeds of the poster are used to support Kitzbühel’s young ski talent, ensuring even more success in the future. We would like to take this opportunity to extend our thanks to all our sponsors and patrons!